In August 2012, I had the great opportunity to film several sessions of Fish Camp and create four promo videos for the camp. It was great fun getting to see the incoming class of 2016 be indoctrinated to the Aggie culture. It also made me aware of how old I was, considering I attended fish camp as a freshman in 2005, was a counselor in 2007, and then filmed it for the first time in 2009. Thankfully, not much has changed since then, and fish camp was just as exciting as I remembered. 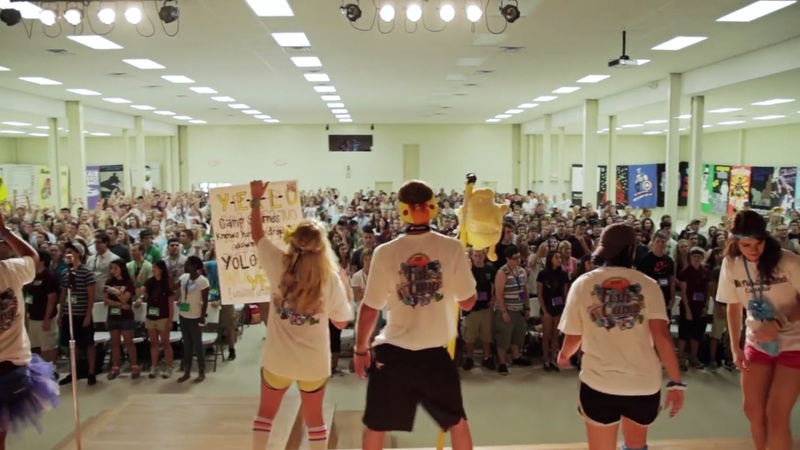 You can watch the video I made for Fish Camp 2009 to see just how similar things are. This is the first and longest of the four promo videos that I created for Fish Camp. It shows everything from the freshmen’s arrival at the camp, to activities, and the friendships that are created. I really tried to capture the excitement and fun, as well as the friendships that are created between freshmen and their counselors. With over 5,000 freshmen attending the camp each year, it is a big undertaking to try to cover all that occurs in just three days. I used a Glidecam for the majority of filming because it let me get a variety of shots with only one piece of gear, and it was easy to carry considering I didn’t have a crew to assist me. It was so much fun to see all of these students participate in this tradition at A&M that introduces them to all of the other great traditions of this great school. Fish Camp is a great opportunity to learn what it means to be an Aggie and meet fellow Aggies who will be in their lives for the rest of their lives. You can watch this video on Fish Camp’s official Youtube page. Interested in having me film your event? Please contact me!